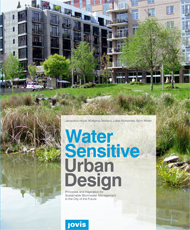 This manual, developed by the HafenCity University of Hamburg in the scope of the European research project SWITCH, provides an overview of the Water Sensitive Urban Design approach and creates principles for a successful WSUD, focused on the topics Water Sensitivity, Aesthetics, Functionality, Usability, Public Perception and Acceptance, as well as Integrative Planning. 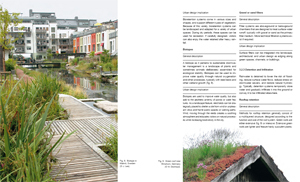 It furthermore presents an international selection of case studies ranging from small scale (site level) up to large scale (city level), demonstrating the WSUD principles in the context of the temperate climates. 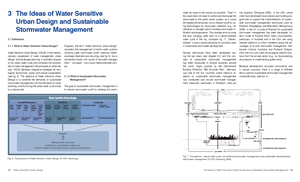 During the last years, techniques and legislation for decentralized stormwater management have been advanced all over the world. However, decentralized stormwater management systems are still underutilized and acceptance among citizens and professionals is still lacking. 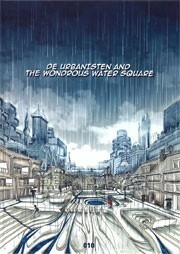 Indeed, decentralized stormwater management will be essential for the sustainable development of cities in the future. Therefore acceptance of the systems must be improved. The main question that needs to be answered is: How can sustainable stormwater management be integrated with urban design in order to create liveable, sustainable, and attractive cities? 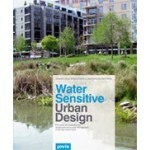 The approach of Water Sensitive Urban Design (WSUD) proposes a solution. WSUD strives to harmonize the urban built environment and the urban water cycle, combining the functionality of water management with principles of urban design. 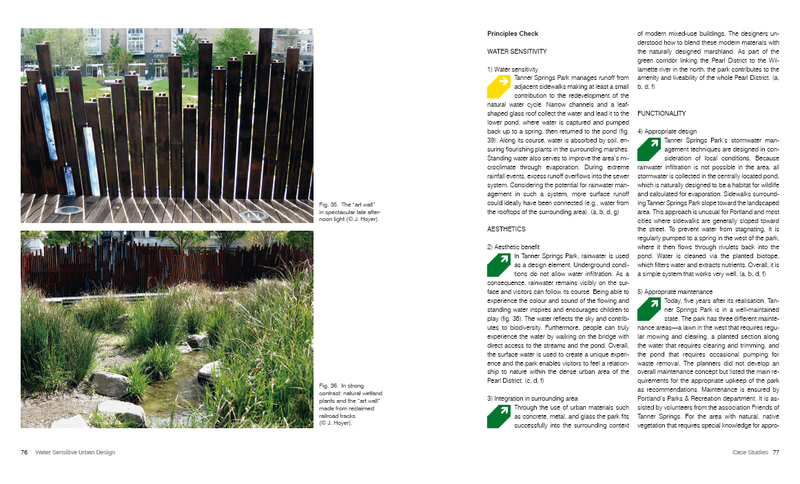 The approach embraces an interdisciplinary cooperation of water management, urban design, architecture and landscape planning in order to reach WSUD goals as well as the integration of water management concerns into overall concepts and development plans.